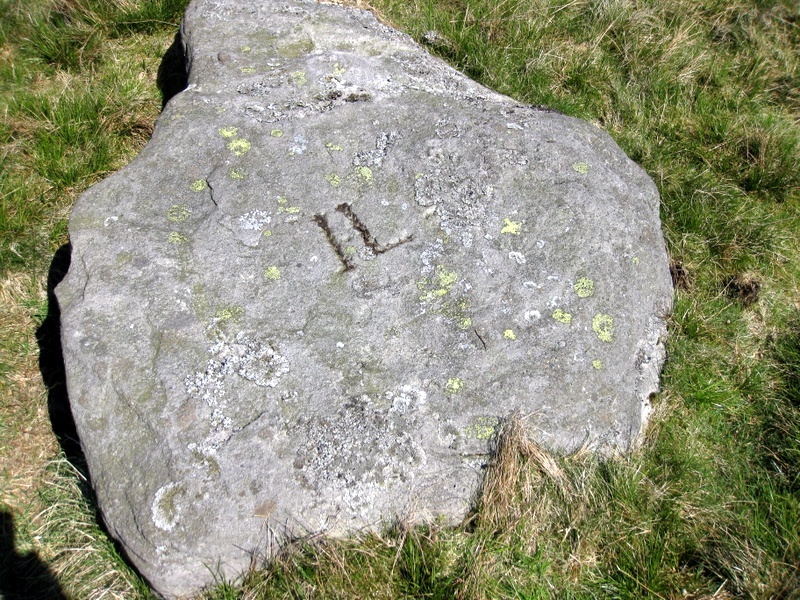 Location: This stone lies 100 metres NNW of Meer Stone 8, in the direction of the Henry Shaft's spoil heap. 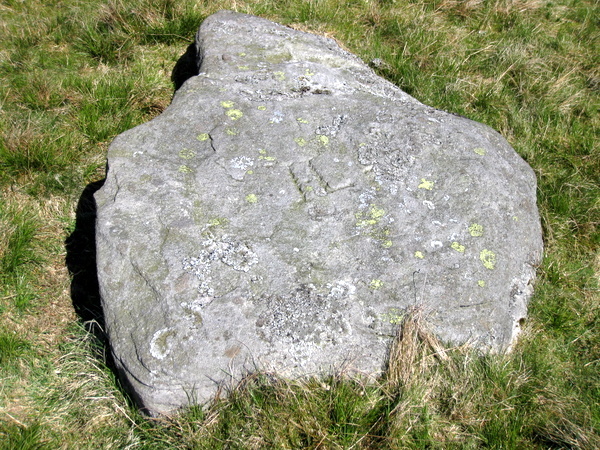 A large, flat stone with the initals IL just discernibly inscribed in the centre. It appears to be located right in the middle of the Bagshaw Pit Moss meer, so may not actually be a meerstone.